As with many other aspects of the Final Fantasy franchise, the music plays a huge role. Being an integral part of what brings the story and the gaming world to life, it comes as no surprise that there would be soundtrack CDs, musical rearrangements of tracks, multiple album releases, and of course, concerts. As Final Fantasy became bigger, the fan base for the music also became more apparent. 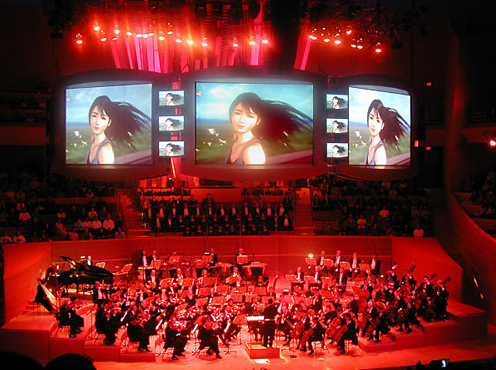 In the early days, gaming concerts such as the Orchestral Game Music Concerts and Video Game Live concert tours both prominently featured Final Fantasy tracks in their line-up, as well as a multitude of other games. The success of these, and many other such concerts, paved the way for the creation of concerts with Final Fantasy as the sole attraction. In February of 2002, the first of the Music from Final Fantasy concerts the first occurred. The huge success started a chain reaction with a six-concert tour of Japan occurring later in 2004. It was not long after before more and more concerts began to emerge with an ever-growing popularity. Dear Friends, More Friends, Voices and Final Symphony are just a few of them. Many of these concerts series lasted for years or even had spin-off tours later on. 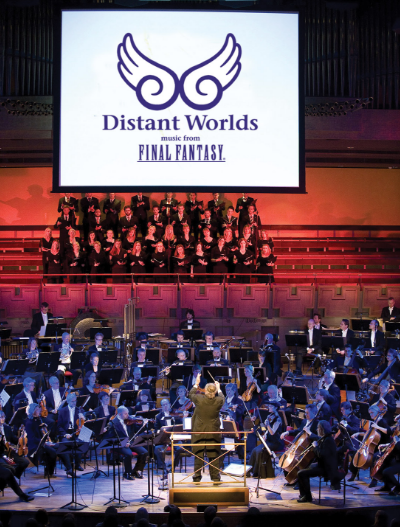 Distant Worlds: Music from Final Fantasy stands out as being the only concert to tour worldwide. Originating in 2007 from Sweden, it is still the only ongoing concert. Like many of the other concerts, huge screens are erected playing video and stills from the games whilst the music is playing. As the concert tours, songs are changed and added to the playlist with each concert being different and playing different themes. Uematsu, the original composer, is still very much involved with all of these concerts and creatively still plays a huge part. Even in this latest concert series, he focused mainly on the old Final Fantasy tracks deeming them to have a stronger following than the more recent releases. The success of these concerts is due, in part, to the huge success of the games and the franchise in the first place. However, these games would not be where they are without the intense and emotional soundtracks that accompany them. The rearranging performed by composers and other musical artists add to this fantasy element allowing the audience to immerse themselves in this world and join in that spirit of fantasy.